The smell of roasted almonds, hot punch and mulled wine in every corner and colorful lights everywhere. With the joyful Christmas days, the last days of the year are coming to an end. Even in the loud world of fashion, things are slowly getting quiet. 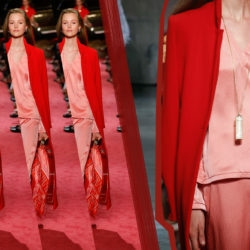 The pre-fall collections were shown just in time, before the end of a fashion-year. From the last, fur-free Chanel news to the powerful fashion week kickoffs at the beginning of the year – here is the recap with our fashion highlights of 2018. Fashion Highlights 2018: Goodbye, Fur! Hard to believe but true: Chanel announced great news right before its Métiers d’Arts 2019 show on December 5: No more fur and exotic leather will be used at the French house. Apparently, it resulted out of the fact that it is ethically unreasonable to acquire such materials anymore. "More and more customers want to know where the materials come from and how the animals were treated. It's all about traceability," said Bruno Pavlovsky, president of Chanel Fashion and Chanel SAS. With this statement, Chanel follows some more fashion labels in the industry. One year ago for example, Gucci announced that it would refrain from real fur. Together with the whole London Fashion Week association, Burberry creative director Riccardo Tisci, declared not to work with any furry material anymore. Those labels follow into the footsteps of Giorgio Armani, Versace, Stella McCartney, Tom Ford and Michael Kors. At Chanel, unfortunately, it doesn’t work without all kinds of animal materials (yet). However, according to Pavlovsky, the leather that they will keep on using should come from wasted products of the food industry only. Although we could have lived without any animal material, we are looking forward to a giant step into a more ethical future. Fashion is everything but definitely not boring. Even a single day can change a lot. The several changes of the creative directors this year proved this pretty well. 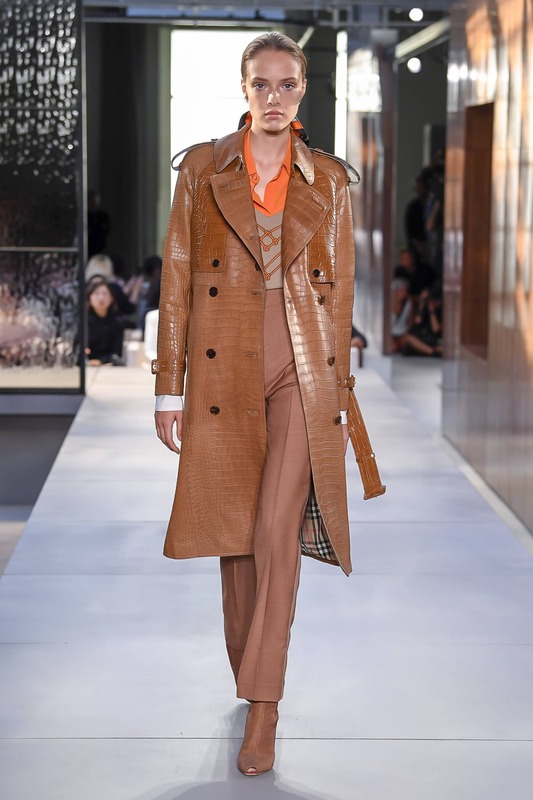 The probably most eagerly awaited show was the first collection of the French fashion designer Hedi Slimane for the French fashion house Celine. If we look at the spelling of the label: there is something missing. The accent was simply erased (such as the Yves at Saint Laurent used to be) and should start a new chapter for the brand. 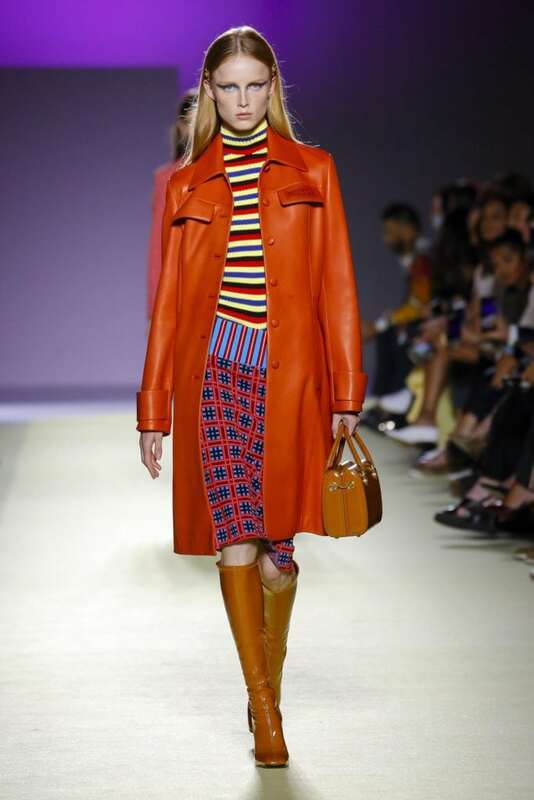 Looking at his first collection for Celine, this new chapter hardly reminds of its former creative director Phoebe Philo, who led the house for ten years. Unfortunately, it was an expected „Hedi collection“, which consisted of a bunch of black, body-conscious cuts and skinny models. Not very Céline. In turn, the Italian fashion designer Riccardo Tisci proved that the history of a house can be preserved while including the own characteristics, too. Although he changed the logo and the legendary Burberry Knight disappeared, he still included the name of the founder Thomas Burberry and tried to show the signature pieces of the brand in a contemporary way. His main inspiration for the spring/summer 2019 also implied the strong tradition thought of the British label: the English family. In addition, Kim Jones started at Dior Homme and Virgil Abloh at Louis Vuitton Men. Both set new standards with their modern, exciting and future-oriented looks. Campaigns for Valentino, Moschino, Saint Lauret or H&M. Several covers from Vogue to i-D Magazine. The Australian model Adut Akech has been on almost every major catwalk over this last year and has become well-known throughout the industry. Born in South Sudan, she fled with her family to Australia at the age of six. There, the now 18-year-old Adut made her first modeling experience and was booked directly after Melbourne Fashion Week for Saint Laurent. Since then, she is unstoppable and counts model icon Naomi Campbell and editor-in-chief of British Vogue, Edward Enninful, among her closest friends and admirers. For Enninful’s one-year anniversary as editor-in-chief, he chose Adut as one of the four cover models, where she also appeared on the title of "New Frontiers Edition" alongside many other successful models. Most recently, she was the second black model in Chanel's history to land the popular bridal spot on the couture show, finishing the Couture Fall 2018 show. To top it all, Adut was nominated for the Fashion Award as Model of the Year. Even though the prize went to her colleague Kaia Gerber this time, Adut Akech is definitely our favorite model of 2018! As the prelude of Fashion Week fall/winter 2018, New York responded to the #MeToo and Time's Up movements that started the year. In addition, many designers focused on the future of strong women. 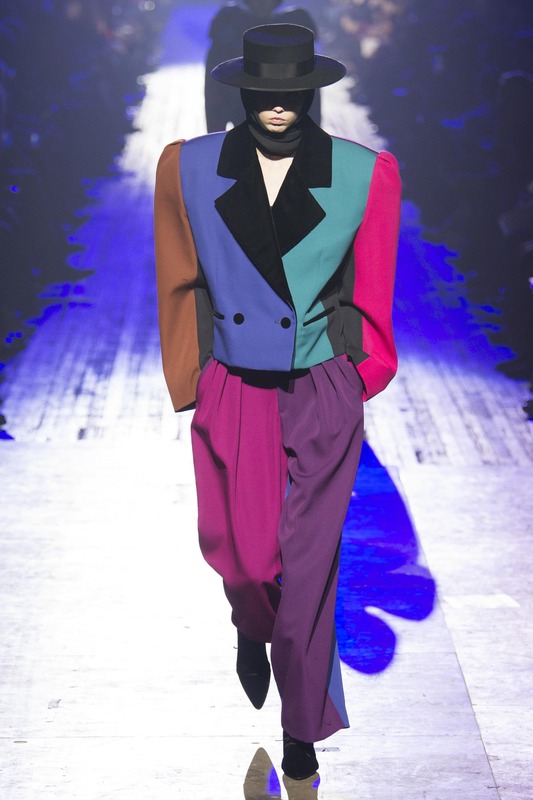 Marc Jacobs for example, covered the silhouette of the models with oversized blazers, long sleeves and huge scarves and showed that an emphasis on the female body is not necessary. Also, the so-called "survival clothing" showed that women are ready to fight for their equal rights in the future. Alexander Wang even named his entire collection "Boss Lady", referring to current problems in society. Moreover, the strong cuts, neon colors of the 80s or 90s, the bright rainbow tones and the bold, bright colors symbolized the strength and confident attitude to move forward into a a bright future full of power. 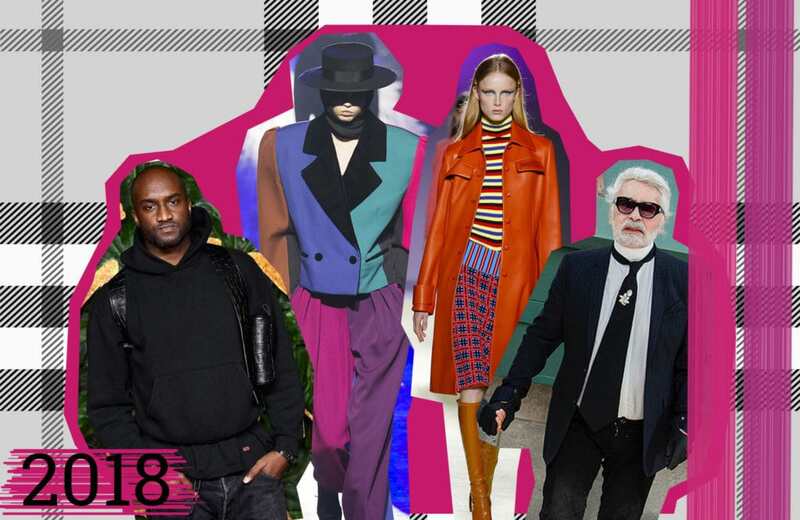 We are looking back on a vivid year of 2018 and we can’t wait to see which new stories the exciting fashion world will tell us in 2019. Let’s stay curious! We wish you some beautiful last days in the old year of 2018. 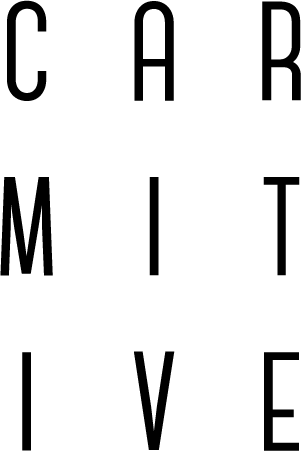 Posted in News and tagged Accessories, Fashion, Fashion Week, Feel Good, Inspiration, News, Spring Summer 2019, SS19, Style, Trend. Bookmark the permalink.